Thomas Crocker is a scheduler & operations associate at Hamilton Place Strategies. His work includes supporting the firm’s principals, primarily Matt McDonald and Kevin Madden, in client management, business development, and scheduling. Prior to working at Hamilton Place Strategies, Thomas worked with a startup called Kensington Sales Group where he assisted with B2B sales, client support, and human resources. While in school, Thomas was an intern in the House of Representatives with the Office of Congressman Steve Chabot where he assisted with research regarding foreign affairs, constituent relations and office operations. During his academic career, Thomas had the privilege to study in Russia where he researched life and culture in former communist societies. 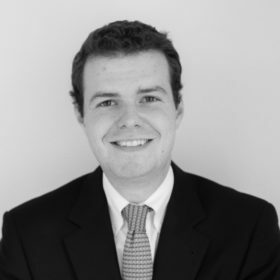 Thomas is a graduate of Lafayette College where he studied Russian & Eastern European Studies and Government & Law. He is a native of Washington D.C., and in his free time, Thomas enjoys fishing, hiking, and watching Formula 1 racing.